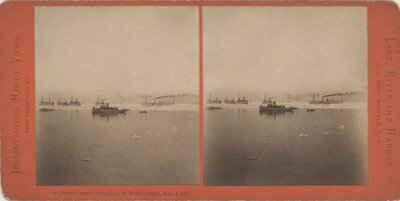 "6 -- Six ice bound Propellers off Buffalo Light, May 4, 1867." C. L. Pond, Buffalo, N. Y."